I almost didn’t review this book. After all, it has already been made into a Tony award-winning play. Everyone already knows about it, right? Then it occurred to me that someone may have missed it. Oh, Holy Bookworms, Batman! What if someone missed it?! Suddenly I found myself standing tall, hands on my hips, and cape blowing in the wind. I knew what I had to do. If this review persuades even one person to read this book, then I will have done my job and you can feel free to send me a fruit basket because, Mark Haddon’s “The Curious Incident of the Dog in the Night-Time,” is nothing but a gift. Christopher observes it all and feeds it to us in sensory drenched pieces. I experienced brief moments when I could see how odd Christopher’s behavior must have looked to an outsider while, at the same time, understanding how it was perfectly logical behavior under the circumstances. There are some rather complex relationships that go on between his parents and other adult characters in the story, but when viewed through our main character’s eyes, they seem simple and obvious. I found myself going back and forth trying to decide who had the real disorder. Recently, I have found myself pondering all of the unspoken social rules that exist in our society. They just seem to come naturally after a while and we don’t think about them. Christopher does. He reminds us that politeness is often wrapped in lies. He is confused when someone’s actions stray from their words. Have the rest of us just become unfazed by such things? Thought provoking, to say the least. 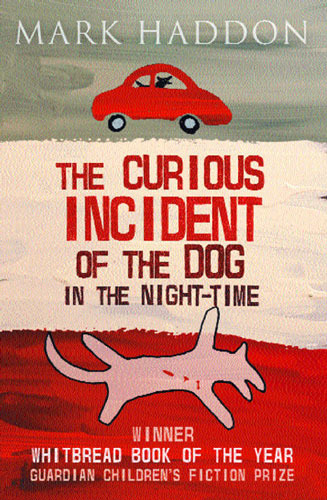 Although our protagonist is extremely logical, “The Curious Incident of the Dog in the Night-Time,” is an emotional workout. In the interest of avoiding spoilers, I will leave it at this… Sometime it is beautiful. Sometimes it is heart wrenching. At all times it worth it. If you can’t tell that I loved this book, I suppose that I can go back and rewrite this review in ALL CAPS, but I think you get the idea. RaisingJedi gives this week’s, “Read This!” the very rare Force Score of 10. Tagged autism, best seller, books, fiction. Bookmark the permalink.